In the less-than-two-years since Sandpiper Group launched, the Vancouver-based investment company has been forging a bold path initiating board shake-ups. Sandpiper is developing a portfolio built on shrewd public and private property investments, while also finding ways to influence and insert board members into investment partners which are not meeting Sandpiper’s expectations. Sandpiper is a real estate private equity firm which handles investments from wealthy and ultra-wealthy families. 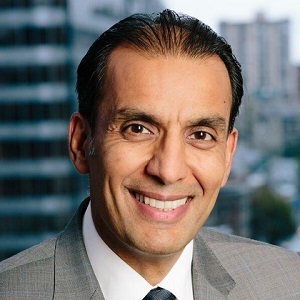 Manji, the former chairman and CEO of seniors housing company Amica Mature Lifestyles Inc, (ACCKF) founded Sandpiper in late 2016 after Amica sold to the Ontario Teachers’ Pension Plan in 2015 for $1 billion. Sandpiper invests in the commercial and multi-family real estate markets through private investments, but also indirectly through securities in publicly traded companies such as REITs. The company has been earning headlines in Canadian business pages for its bold manoeuvres to shake up the boards of investment companies in which Sandpiper has taken a stake. Last year, Sandpiper won a proxy contest with Granite REIT (GRT-UN-T) (a $2.3-billion market cap industrial REIT) and entered into a settlement agreement with Agellan Commercial REIT (ACR-UN-T) (a $380-million market cap industrial and office REIT). Against Granite, Sandpiper and a third-party partner won three board seats, including one for Manji. In November, Sandpiper and ELAD Canada Inc. reached a settlement with Agellan for three nominees appointed to Agellan’s board, including a seat for Sandpiper’s president and COO Renzo Barazzuol. Earlier this year, Manji’s team settled with Artis REIT (AX-UN-T) to include a Sandpiper board member on its 2018 board slate. In that case, they were able to put forward Lauren Zucker as a trustee candidate for its upcoming 2018 annual general meeting. (Zucker is an associate vice-president at Yale University). “We approach our activist strategies as an investor with meaningful ownership positions looking to help create value and support positive change,” Manji said. He said Sandpiper prefers collaboration and dialogue with board management, and relies initially on constructive criticism with boards and management teams. Manji said Sandpiper’s team continues to grow and the firm has bold ambitions for 2018. Part of Sandpiper’s strategy is to identify investments and funds that are underestimating or misreading value, Manji said. “At the asset level, it would be something we believe most in the market would be looking at in a very conventional sense, whereas we would be able to apply what I would describe as innovation or creativity to look at in a more unconventional sense,” he said. For instance, when purchasing an apartment building or a stake in one, Sandpiper applies its own market intelligence, direct research on the building and considers the future rezoning potential, he said. “Over a period of 24, 36, 44 months, with what’s happening in the broader market, we (may) think that there is going to be a compelling opportunity here,” he said, referring to up-zoning opportunities. He said Sandpiper is also focused on second-tier U.S. markets. As for asset classes, Sandpiper is busy in all types, but particularly interested in industrial and multi-family properties, Manji said. “With everything happening in the world around us where manufacturing (and) logistics continue to see growth and demand, that only makes industrial real estate, particularly when it’s well-located, fairly attractive,” he said. “In some instances . . . you have a situation of entitlement,” he said.